Fill out the form with any questions or inquiries you have for the sales consultants at Solterra. You can also call or chat with us for immediate responses. 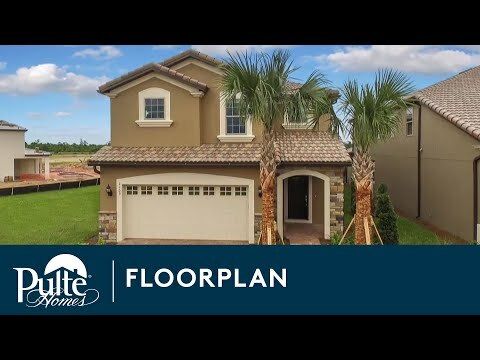 The Hideaway is a gorgeous six-bedroom new construction home with four and a half bathrooms, so there’s plenty of space to spread out and relax. Entertaining is easy with an open kitchen and ample storage, plus a second floor loft ideal for a game room or guest bedroom. The first floor Owner’s Suite offers privacy and space, with a generous storage area. This plan also includes a 2-car garage. Step inside Hideaway to see the Life-Tested Home Designs® with more usable space where you want it most. So you live the way you want to live. The six-bedroom Hideaway home by Pulte is known for its dual suites--one on the first floor and one on the second. Each floor also features a living area for entertaining. Entertain and relax in the large lanai, which includes storage space. This home also features a 2-car garage and tile floors. The Hideaway offers a 6 bedroom single family house with 4.5 bathrooms. The kitchen is open making entertaining in this home perfect. The six-bedroom Hideaway home is known for its dual suites--one on the first floor and one on the second. Each floor also features a living area for entertaining. Entertain and relax in the large lanai, which includes storage space.